1/8" Dia. 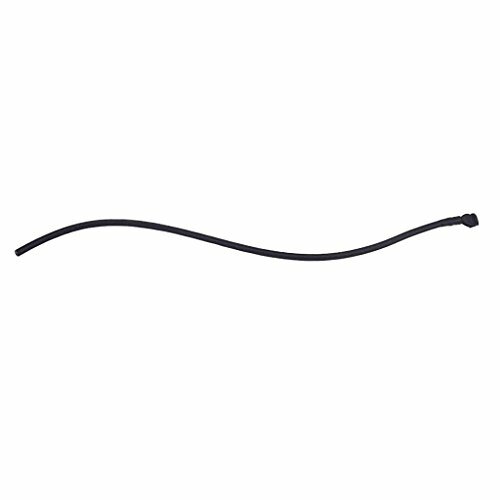 Clear Shrink Tubing - (4 ft.
1/8" ID (before shrink) clear shrink tubing. 4 ft. piece. Made of polyolefin. Has 2 to 1 shrink ratio. Polyolefin is the standard-bearer in the shrink tubing market. It heats evenly, doesn't bubble or split, and is self-extinguishing. It also offers greater flexibility than PVC shrink tubing. 1/8" Dia. 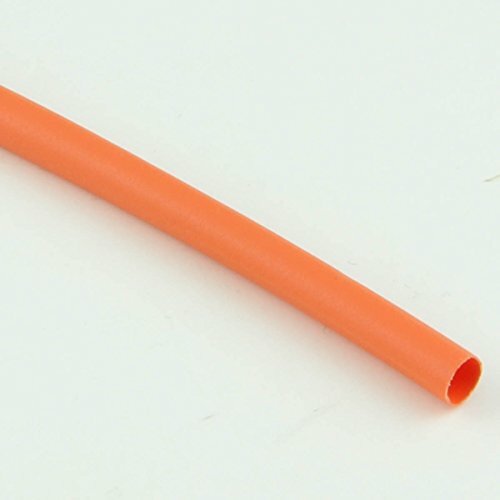 Orange Shrink Tubing - (4 ft.
1/8" ID (before shrink) orange shrink tubing. 4 ft. piece. Made of polyolefin. Has 2 to 1 shrink ratio. Polyolefin is the standard-bearer in the shrink tubing market. It heats evenly, doesn't bubble or split, and is self-extinguishing. It also offers greater flexibility than PVC shrink tubing. 1/8" Dia. 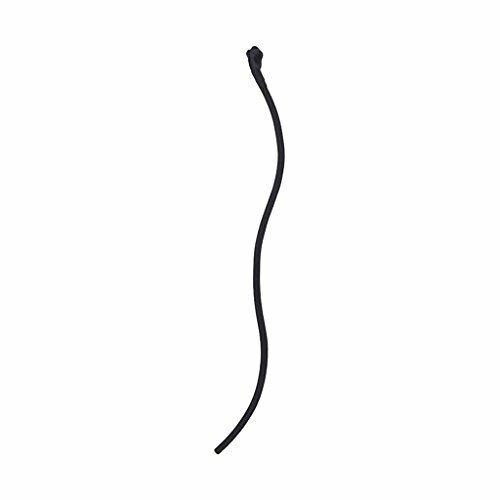 Black Shrink Tubing - (4 ft.
1/8" ID (before shrink) black shrink tubing. 4 ft. piece. Made of polyolefin. Has 2 to 1 shrink ratio. Polyolefin is the standard-bearer in the shrink tubing market. It heats evenly, doesn't bubble or split, and is self-extinguishing. It also offers greater flexibility than PVC shrink tubing. This black version is also UV resistant. 1/4" Dia. 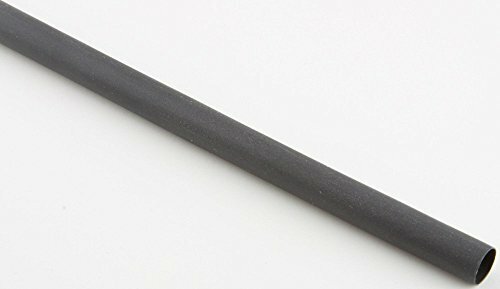 Black Shrink Tubing - (4 ft.
1/4" ID (before shrink) black shrink tubing. 4 ft. piece. Made of polyolefin. Has 2 to 1 shrink ratio. Polyolefin is the standard-bearer in the shrink tubing market. It heats evenly, doesn't bubble or split, and is self-extinguishing. It also offers greater flexibility than PVC shrink tubing. This black version is also UV resistant. 1/4" Dia. 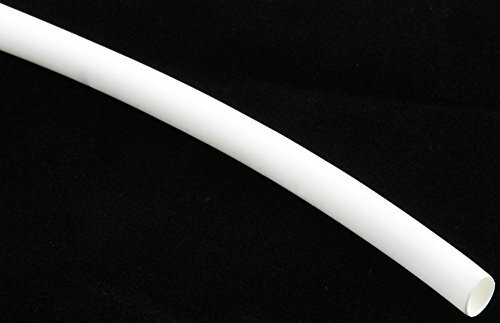 White Shrink Tubing - (4 ft.
1/4" ID (before shrink) white shrink tubing. 4 ft. piece. Made of polyolefin. Has 2 to 1 shrink ratio. 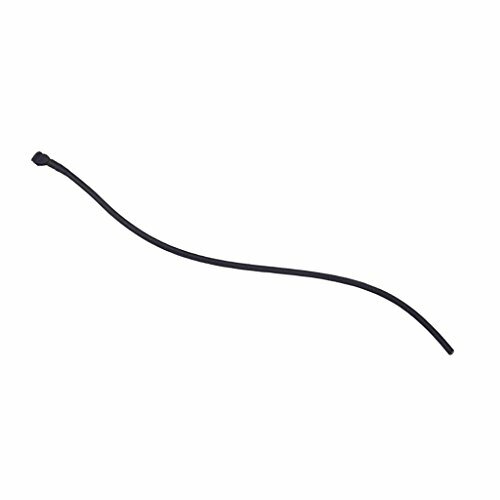 Polyolefin is the standard-bearer in the shrink tubing market. It heats evenly, doesn't bubble or split, and is self-extinguishing. It also offers greater flexibility than PVC shrink tubing. 1/4" Dia. 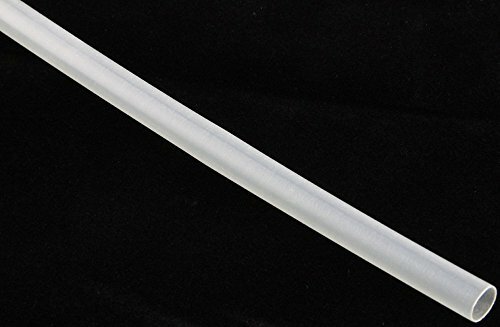 Clear Shrink Tubing - (4 ft.
1/4" ID (before shrink) clear shrink tubing. 4 ft. piece. Made of polyolefin. Has 2 to 1 shrink ratio. Polyolefin is the standard-bearer in the shrink tubing market. It heats evenly, doesn't bubble or split, and is self-extinguishing. It also offers greater flexibility than PVC shrink tubing. 1/4" Dia. White Shrink Tubing - (100 ft.
1/4" ID (before shrink) white shrink tubing. 100 ft. spool. Made of polyolefin. Has 2 to 1 shrink ratio. Polyolefin is the standard-bearer in the shrink tubing market. It heats evenly, doesn't bubble or split, and is self-extinguishing. It also offers greater flexibility than PVC shrink tubing. Copyright © Wholesalion.com 2019 - The Best Prices On 0.125' Tube Online.